It all began in May 1964, when Bowdoin College Music Department chair Robert K. Beckwith invited Lewis Kaplan to propose a concert series to take place at the College that summer. 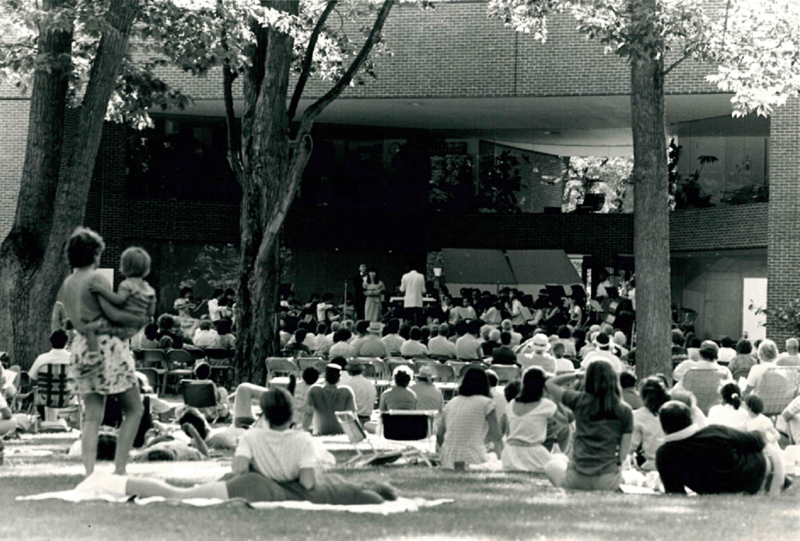 Thus the Bowdoin Summer Music Festival was born. After a successful first season of concerts, the Festival returned in 1965 with 19 students and a cadre of contemporary composers including Elliott Carter, Meyer Kupferman, George Rochberg, and Morton Subotnick. The Festival’s contemporary music component became known as the Charles E. Gamper Festival, after its chief patron. In 1966, George Crumb made the first of many Festival appearances for the world premiere of his Eleven Echoes of Autumn. This solidified a tradition of commissioning and offering residencies to notable composers. The Festival grew rapidly as a program of the Bowdoin College Music Department through the 70s, 80s, and 90s, changing its name along the way to the Bowdoin Summer Music Festival. In 1997, the Festival became an independent non-profit organization, and in 2004 changed its name to the Bowdoin International Music Festival in recognition of its world-wide reach. In September 2014, David Ying and Phillip Ying, members of the famed Ying Quartet, succeeded co-founder Lewis Kaplan as the Festival’s Artistic Directors. Through their leadership, the Festival engages exceptional students and enthusiastic audiences through world-class education and performances. After a competitive admissions process, over 270 students are invited to attend the Festival and study with distinguished faculty and guest artists. Audiences are invited to more than 175 free events such as student performances, lectures, masterclasses, studio classes, and community concerts. The Festival continues to thrive, attracting record numbers of applicants, continuing to build a diverse and world-renowned faculty, and reaching thousands of music lovers across the globe.